Hindustan Insecticides Limited has released the advertisement for the HIL Recruitment 2018 of 32 Technician Apprentice, Graduate Apprentice posts. So, the candidates can check the HIL Technician & Graduate Apprentice Jobs 2018 details from this article. We have provided the application form, post-wise vacancies, eligibility criteria and more information related to the HIL Openings 2018. The Online applications will be available on Hindustan Insecticides Limited website hil.gov.in from 1st August 2018 to 8th August 2018. 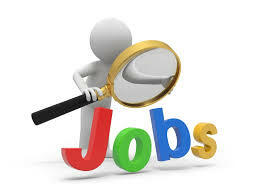 Therefore, the aspirants need to cross check all the details from this post. Below in this post, contenders can find the Steps to apply for the notification. We have also attached an HIL Recruitment 2018 Notification at the end of this article. In this post, we have specified the accurate information about the HIL Recruitment 2018. Before applying to this posts, you need to refer the official HIL Openings 2018 Notification to know complete details. Meanwhile check this page to get the details about the starting date of the application form, Application fee, minimum and maximum age limit, Educational qualifications, Selection procedure, monthly salary and other eligibility criteria of this HIL Technician & Graduate Apprentice Recruitment 2018. So applicants who wish to apply for these positions can apply through online mode before the last date. And send that application form to the below given address. Check the official recruitment notification for postal address and other valuable information. Candidates who are applying need to pay the application fee to complete the online registration process. All aspirants who have applied for these Hindustan Insecticides Limited Job need to face a Written Test and the Physical Standard Test as part of the recruitment process. Intenders who got selected for the Technician Apprentice position will get Pay Scale of Rs.6660/- (Per Month) and for the Graduate Apprentice position is Rs.7600/- (Per Month). On this page, we have provided the direct link to download the official HIL Recruitment 2018 for the secure mode to the candidates. The officials of the Hindustan Insecticides Limited is going to organize the recruitment process to recruit the capable aspirants into the HIL. Read the official recruitment notification to get the details about the Selection process so that you can prepare according to that rounds. Candidates who got placed in the Hindustan Insecticides Limited by clearing all the recruitment rounds they will get the monthly pay band as per norms of the HIL. Already the higher officials had started the receiving applications from all eligible applicants. On this page, we have updated the links to the official application form and the official recruitment notification for HIL Positions. So we rush the candidates check out all the details about the HIL Recruitment 2018 Notification and apply for 32 Technician & Graduate Apprentice positions. Before applying for these HIL Recruitment 2018 vacancies, the aspirants must check the eligibility criteria and other relevant details which are given below to get succeed in getting a Government job in Mumbai. The online application forms are active on its official web portal of the Hindustan Insecticides Limited. Aspirants should grab this opportunity because getting a job in a government sector is not an easy task, but by following our site Sarkari Naukri, it will help to the contenders in getting a government job very efficiently. Check the official web page of the Hindustan Insecticides Limited to get the official recruitment notification Or hit on the link which is provided below in this article so that you can directly download the official HIL Recruitment 2018 Notification. Technician Apprentice: SSC passed, EX -ITI in relevant trades or B.Sc. pass with Physics and Chemistry. Graduate Apprentice: Degree/ Diploma in relevant discipline. Refer the official notification for the age limit. Check the official advertisement for the details of the application fee. The selection process will be based on Written Test, Physical Standard Test. Starting Date of the Application Process: 1st August 2018. Ending Date of the Application Process: 8th August 2018. Go to the official website of Hindustan Insecticides Limited, i.e., hil.gov.in. Search for the HIL Recruitment 2018 Notification on the official page. Look at the eligibility criteria applicable aspirants for the given positions has to download the application form. Link up the photo and required documents and post the application form to the right official address before the final date of the application process.